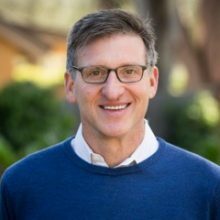 Dan Viederman is a Managing Director at the Working Capital Fund/Humanity United, focused on efforts to engage entrepreneurs and tech innovators in pursuit of new tools to scale improvements for vulnerable workers in global supply chains. Before joining HU, Dan was CEO of Verité, a leading non-profit organization working against global forced and child labor through in-depth research and corporate engagement. In recognition of Verité’s impact, Dan was winner of a 2007 Skoll Foundation Award for Social Entrepreneurship and was named Schwab Foundation Social Entrepreneur of the Year in 2011. He has also managed China offices for World Wildlife Fund and Catholic Relief Services. Dan is a graduate of Yale University, the Columbia University School of International and Public Affairs and the Chinese language program at Nanjing Teacher’s University.